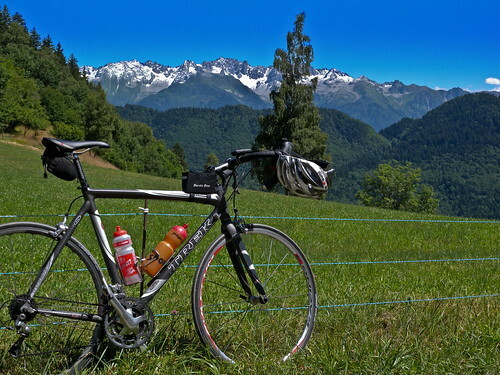 French Magazine Le Cycle currently has a special edition out, listing what it calls the 50 most beautiful routes in France. 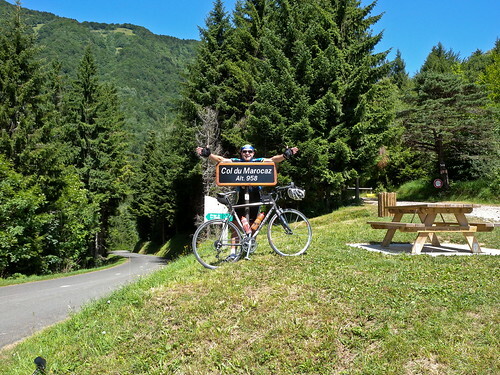 Eric and I decided to try one of their more mountainous suggestions. 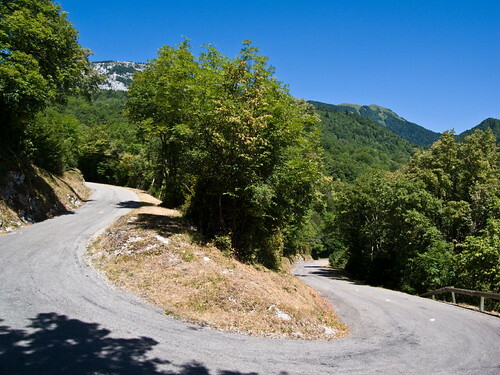 This beautiful and challenging course climbs both sides of the valley between Chambery and Albertville, sometimes through vineyards, usually on quiet roads (especially the climbs), and always with mountain views. 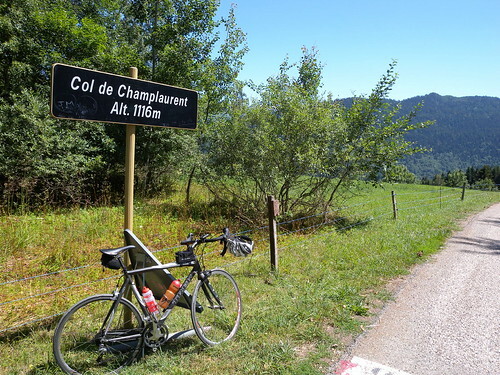 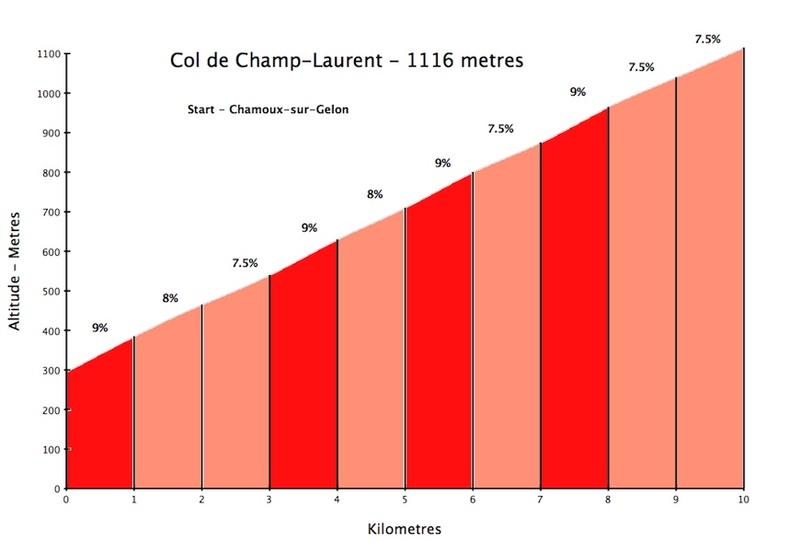 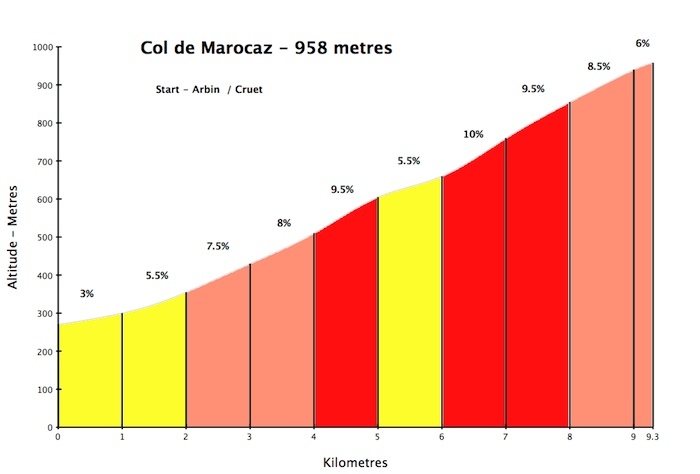 While neither of these climbs are particularly high, they start low and are both quite steep – a fun challenge.